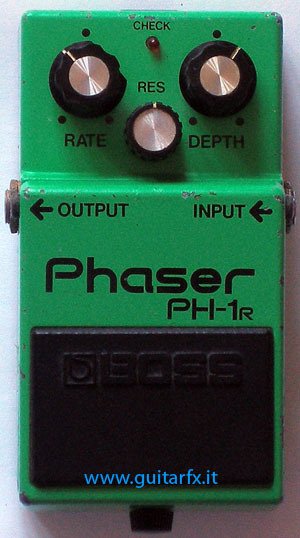 This one, and its predecessor PH-1, may be considered classic phasers (the same can be said for old MXR units, too). It has been sold from 1980 to 1985: by the end of 1984 Boss started selling the PH2. The PH-1R has a 3rd control labeled “RES” for “resonance” in addition to “Rate” and “Depth”, featured on the PH1 too.